This is the post for January 2, 2018. Learn how to improve your project by reading the #Infographic, #Tutorial, and #Watch posts for today as well as checking the sites listed in the readings above for help with writing in your career field. Use the related information to revise your project before turning it in. Submit your Analysis of Writing in Your Field project in Canvas by 11:59PM. If you are taking advantage of the grace period, submit your project by 11:59PM on Wednesday, 01/03. If you want to get ahead, you can read the assignment for the Short Proposal, which we will begin tomorrow. 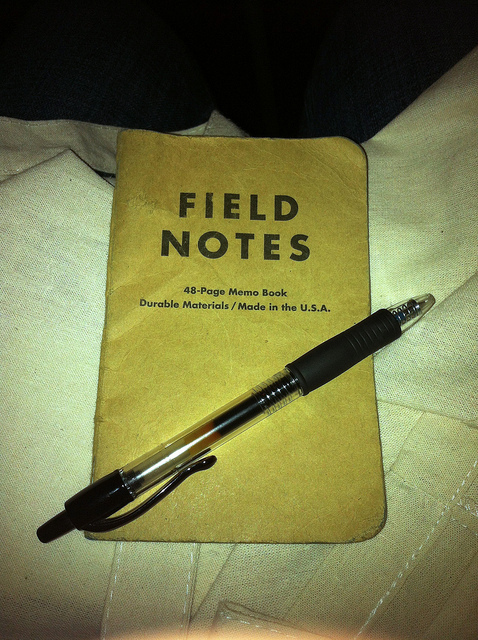 Photo credit: Evernote ETC: My Field Notes by Brooks Duncan on Flickr, used under a CC-BY 2.0 license.